My name is Codrin Paveliuc Olariu. I am an ordinary European citizen who is directly affected by Brussels politics. I followed last week the news regarding Mr.van Rompuy`s Multi Annual Financial Framework (MFF)proposal and, honestly, I got worried…because all the suggested budget cuts and reallocations affect me directly. I am 29 years old. Although according to both the EU and UN definitions, I am not young anymore (so discriminatory!!! ), I consider myself to still be a young professional. By cutting down the budget allocated to youth programmes and education, you give a hard blow not only to me, but also to an entire generation aged between 15 to 29 that sees its future falling into ruins. Why should we not invest in their future as it is also our future? I am from Botosani, a city from the North East Development Region of Romania. It is recognized as one of the poorest regions in my country, with the largest development discrepancies that exist in Europe. The Cohesion budget coefficient have been modified in the MFF proposal, being cut from 3.35 to 3.15. This means a decreased budget not only for my region and city, but also for many regions like this all over Europe. Why treat them as second rate citizens of the EU when the “word of the day” should be “Union”? I am qualified as an agronomist, but at this time work in agricultural research actually. The MFF budget proposal gives the CAP post 2013 a cut of 25.5 billion Euros after the EC already diminished it. Everybody benefits from agriculture: almost 50% of EU people live in the countryside, many are employed there, 100% of our food comes from agriculture. Why should we give a blow to agricultural competitiveness when we should support it? I am working in agricultural research on global food security. The proposed cuts to foreign aid budget directly affects support to food security measures. Why should we lose the fight against global hunger when the solutions are within our reach? I am a 29 year old Romanian, working in food security policies research in Belgium, worried about the state of the Union. I have voted for competitiveness and jobs policies, for an increased research budget, but I have never chosen between different political parties. I strongly believe that political ideologies should not stand in the way of developing a nation or the European Union. Our personal/national egos should not be greater than the needs of the citizens. Investing in youth, research, education, competitiveness, agriculture should not be affected by the financial crisis, elections in your countries, quarrels between political groups or egos of European institutions getting the first taste of power in the co-decision process. It is time to stop saying “we should” and say “I will”. 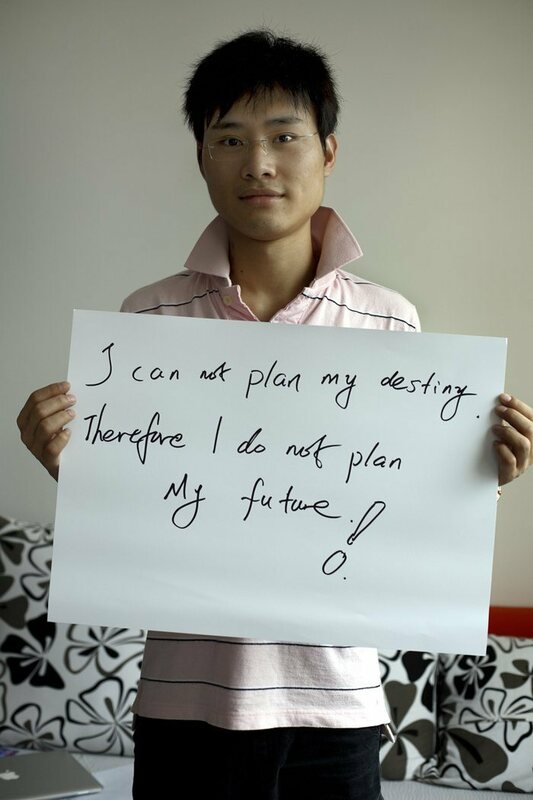 Strong commitments for our “common” future are needed. A DISTINGUISHED Australian scientist, the winner of an international soil science prize, has called for Australia to lead a renewed global effort to reverse the alarming degradation and contamination of the world’s food-producing soils. Professor Ravi Naidu, the Managing Director of Australia’s CRC for Contamination Assessment and Remediation of the Environment is this year’s recipient of the International Soil Science Award, presented annually by the Soil Science Society of America (SSSA). “Global estimates of the amount of agricultural and pastoral soil lost each year range from 75 to 100 billion tonnes – that’s over 10 tonnes a year for each person on Earth,” Prof. Naidu says. “Furthermore, a satellite study by the United Nations Food and Agriculture Organization (FAO) revealed about 1 per cent of the world’s farm land has been lost every year for the past quarter century. “Such rates of degradation are completely unsustainable and risk exhausting the world’s food-producing soils within two to three generations.” Prof. Naidu said soil loss and contamination was a ‘sleeping giant’ among various threats to global food security – and had suffered international neglect for decades. “Millions of tonnes of soil can be lost in minutes in a bad storm or flood event, as we saw only last year in Australia – and as America has just experienced. Yet new soil takes from thousands to millions of years to form.” Professor Naidu said he was delighted at the recent announcement by Prime Minister Julia Gillard of an Australian Working Group on Water, Soil and Food headed by the former Governor-General Major-General Michael Jeffery. “I strongly commend the Government for this forward looking move, which is part of the $700 million ‘sustainable agriculture’ stream in the next phase of the Caring for our Country program. It shows real leadership regarding soils issues in Australia. 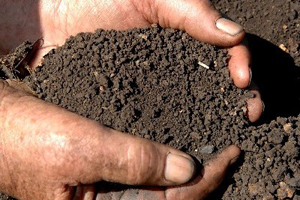 “Australia’s soils are old, leached and low in organic matter and excessive cultivation can impact what’s called the critical zone – this is the soil lying between the plant and the groundwater table. Once soils in this zone are depleted, it is not possible to replenish them. Also a significant proportion are now affected by salinity. All this is relevant to domestic food security. “However we must also recognise that Australia will not be secure if the world as a whole is food insecure. We are connected to the world, especially to Asia, where soils face major pressures. “The new moves in Australia position us well to show increased global leadership in addressing the world soils crisis, just as we are doing at home. “Australian scientists are already hard at work trying to stabilise soils in various threatened regions – but now can do even more, sooner and more effectively. “There is an opportunity not only for Australia to help its neighbours deal with an seriously intractable problem, but also to generate substantial new export income around smart technologies for overcoming soil, water and environmental problems associated with agriculture.” Prof. Naidu said the FAO’s most recent State of the World’s Land and Water Report (SoLaW) had highlighted that more than half the Earth’s land surface was now degraded – while only 10 per cent of it was improving. “The report clearly stated that ‘Across the world, a series of agricultural production systems are at risk due to a combination of excessive demographic pressure and unsustainable agricultural practices’,” he points out. “While Australia may have a food surplus, we can still be affected by very high global food prices, by refugee floods, and trade and conflict issues which may arise out of the collapse of farming systems in other parts of the world. “If we want to mitigate those risks, both to ourselves, to others and to global stability, we need to apply our high levels of skill and knowledge in managing soils to more international as well as to Australian challenges.” Prof Naidu’s received the SSSA International Soil Science Award for his ‘outstanding contributions to soil science internationally’. Safe Environment Nepal-‘Youth for Conservation’ (SEN-Y4C) with support from APMN/ICIMOD under its youth for sustainable development (Y4SMD) programme is conducting the Nepal National Youth Forum on Green Solution from 6- 8 December 2012 in Kathmandu, Nepal. Youth can make a difference provided they realise their importance to their society, nation and the globe as a whole. The major hindrance to today’s youth is unemployment due to lack of opportunity and awareness. Opportunity can be created utilising available resources and, SEN-Y4C- is committed towards raising awareness among youth about the environmental aspect of humans, making wise use of available natural resources, identifying gaps and bridging them through trainings and capacity building to achieve the sustainable development goal. To bring forward this important component and more importantly to promote green solutions for youths, SEN-Y4C announces the call for application from all interested youths (aged 15-29) from all over Nepal. Please fill up the Application Form and send it to safenvnep@gmail.com with copied to fren.gp@gmail.com by 15 November 2012. Note, this post is based on received email from sushrestha@icimod.org, so you can contact her to get application form. Agricultural enterprises could be roughly divided into two types, family-operated farms/ smallholder farms and large commercial enterprises. Definitions for this group vary according to the crop and context, and there are a wide of models of how smallholder farmers are integrated into global value chains. Globally, there are more than 525 million farms out of which average small holdings of less than two hectares with three fourth in Asia, like example 0.6 hectares in Nepal. Typically, smallholder farmers are economically impoverished and belong to disadvantaged classes in the society. 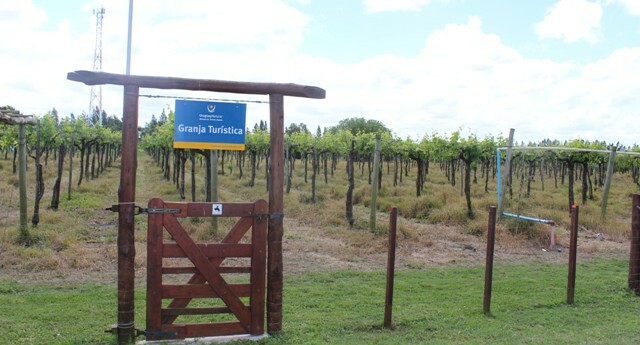 But it is with an average farm size of 37 hectares in Uruguay. Within population close to 3.38 million; Uruguayan economy is characterized by an export-oriented agricultural sector, a well-educated work force, and high levels of social spending where it accounts 12% of GDP and about 70% of total exports. Thus, smallholder farming is better and advantageous in Uruguay than Nepal. On 31st October in GCARD2, field trip was organized to the participants; I joined the “sustainable production” trip. It was 46 Km far from Montevideo, where I got chance to visit INIA and two smallholder farmers. 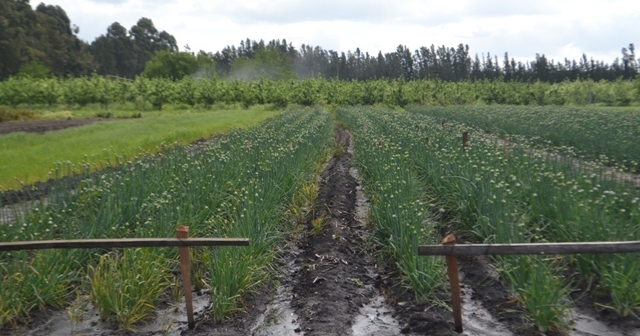 First one farmer from Solari’s family who used to grow fruits (apple, peach, orange, pear and grape) in their 200 hectares of land and second farmers is Zunino’s family who used to grow vegetables particularly onion and garlic in his 180 hectares of land. Both of them are progressive and innovative farmers and from 2008, INIA has provided continuous supports regarding research in their farming fields. Thus they are motivating in sustainable farming and their farming practices are quite safer than other normal smallholder farmers. But the globally facing problem of smallholder farmer is that, they are severely disadvantaged when it comes to accessing markets because of their weak bargaining power and information asymmetry. In this situation, mediators like retailer who buy products from farm and sends it to the consumer, may have more profit than to farmers. To overcome this disadvantage, government and allied bodies should link farmers to markets like promoting farmers’ cooperatives, developing market information system, ensuring crop insurance, etc. Given that smallholder farming can play a key role in feeding the world in a sustainable way, there is a need for investments in improved technologies, applied research targeting this agricultural sub-sector, technical services, and specific capacity-building to improve the quality and productivity of smallholder farming while preserving the environment. Blogpost by Dinesh Panday, one of the GCARD2 social reporters.